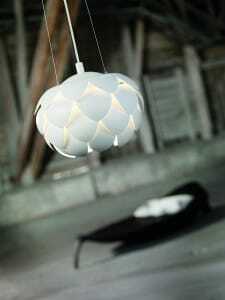 Home »LIGHTING TRENDS»Retro Style Lighting. How to get the ‘retro eclectic’ look. We’ve all seen glossy interior design and life style magazines depicting effortless blending of old & new. 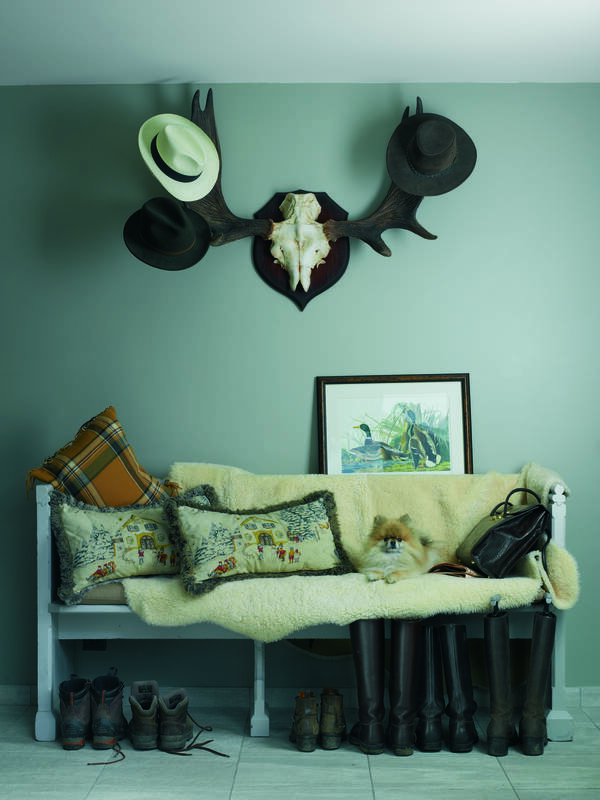 Eclectic salvage finds blended with designer items to create interesting playful arty spaces. In truth some interior designers have that magic touch, making ‘old tat’ look like an art installation. When we mere mortals attempt this, it often looks like….. ‘old tat’!! Why is this? After many years of working with Architects & Interior Designers we at The Lighting Company have extracted a wealth of ideas to help you create the look without paying big bucks! First let’s look at the scene above to see what makes this little grouping of objects a success story. The objects tell us a story, just a quick glance at the image evoking a feeling that the owner of the collection is perhaps a well traveled individual with selected items collected from around the world? There’s a sense of nostalgia with the angled lamp a retro styled reading or desk lamp, leads us to believe that the owner is educated, well read & well travelled person too. The sentimental and possibly a little eccentric collector seems to have paid no mind to whether the collection belongs together. We know these items are simply a random collection. But at closer inspection we see the colour pallet is pleasing, with a link between objects. The subtle neutral tones are rather dignified: tans, taupe, black and a dash of white. All of these colours can be found in the rams head- hung on the wall. There is also a common theme between the objects although not obvious at first glance. They all have texture: fur, rusty metal, the wood of the crate and the gloss black of the oriental chest and this gloss black is repeated in the angled lamp. Taxidermy is so in vogue, while not everyone is a fan of the our furry friend, he adds a whole heap of character to the setting. And of course the black and tan colour combination has been inspired by the ram too! If you cannot live with him, opt for another textured object to hang on the wall of your home. Textured wall lights such as the Joshua Driftwood style wall lamp is a good choice, a wall hanging, drift wood wall art, twisted metal wall art are all good alternative too. The colour combination is important. There should be at least one object that has a mix of all the colours as this will help to bring the look together.The Bavarian Antlers wall art below are made from resin -no animals have been harmed although poor little doggie looks like he may have issues! Wall Art Feature resin Bavarian antlers make a stunning feature. Without a ‘shadow’ of doubt the star of the show is the angled lamp READ. It pays homage to the old fashioned angle poise lamp but a fraction of the cost. I know we are The Lighting Company, a touch biased, maybe, but hey, come on, the iconic designed ‘Read’ angled table lamp, brings a lot to the table. We love the rich black gloss tones of this the much needed nostalgic styled reading lamp, it’s also the single most useful object on the page. It is not only beautiful to look at -It’s a light too! How good is that! It’s no happy accident that certain styles become the ‘must haves’ and some do not. Trend forecasting is used to identify what is to become the hot new ‘must have’! Interiors designers watch carefully the key trend forecast and influences. During this time of austerity – you’ve seen signs everywhere such as ‘Keep Calm and Eat Cake” and “Keep Calm and Drink Wine” these words hark back to war times. We have all embraced the sentiments of wartime Britain we’re growing our own. As consumers we all adopted a ‘Make do and Mend’ attitude. Interior designers often talk to us about the type of scheme they have in mind for their clients. Lighting in a retro style can work effortlessly in kitchens adding just a little quirk. Look for lighting that evokes pharmacy style lighting, factory style pendants, 1950’s era, enamelled lighting in pastel colours. If you’d like to incorporate retro lights our buying team have cherry picked some key items of lighting that work with the current lighting and interior trends. The Lighting Company’s Top 10 of the best retro lights presented for your consideration. Funk Pendants brightly coloured pendant lights reminiscent of circa 1950’s Think ‘pop art’ the invention of plastics in bold colours. Bankers Lamp a classic grown up lamp with a green shade. This is quality British made Lighting. Read Pendants a super low cost retro lighting style. Classic utilitarian lighting simple stylish and will stand the test of time. The Featured READ table lamp is from this range of retro lights. Station Lamp- Copper Metal British design and manufacture a truly classic iconic design. Dynamo a collection of matching pendants and lamps. Reclamation factory style pendants enamelled look cream or a worn bronze effect for a vintage look. Zaragoza pendants drum shaped ceiling light in red, cream or black. Lighting in a retro style can work effortlessly in kitchens adding just a little quirk. Look for lighting that evokes pharmacy style lighting, factory style pendants, 1950’s era, enamelled lighting in pastel colours. Light fitting in white the Thistle light is shaped like an Artichoke or Acanthus. Next → Next post: Chandeliers Opulent feature lighting.